Happy Wednesday, half way through the week already! I’m excited to be here again sharing one of my newest spring projects, a DIY Burlap Bouquet. 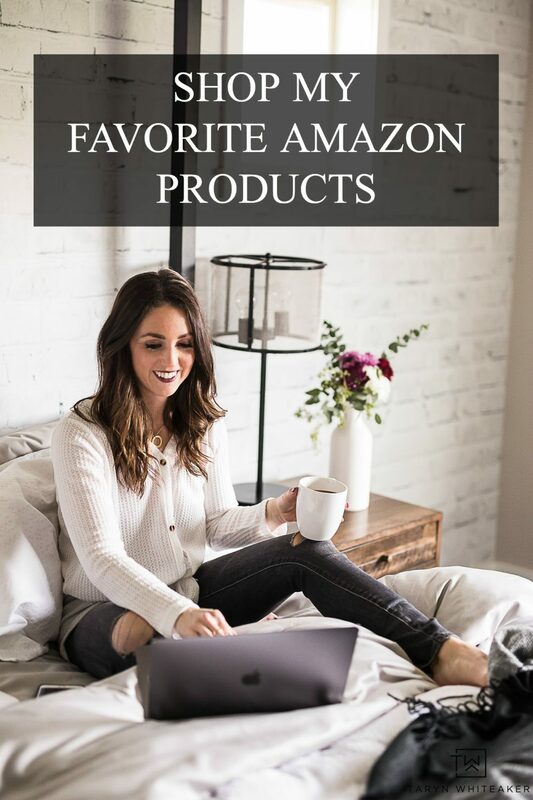 I shared this last week over at The 36th Avenue and I’m excited to be sharing it with all of you! I first saw this photo on Pinterest over a year ago and I have been dying to make one of my own ever since. I’m so glad I finally got around to making it and now I get to share my experience with all of you, because yes it was an experience. I made this rustic and elegant bouquet to add a little spring decor to our home. 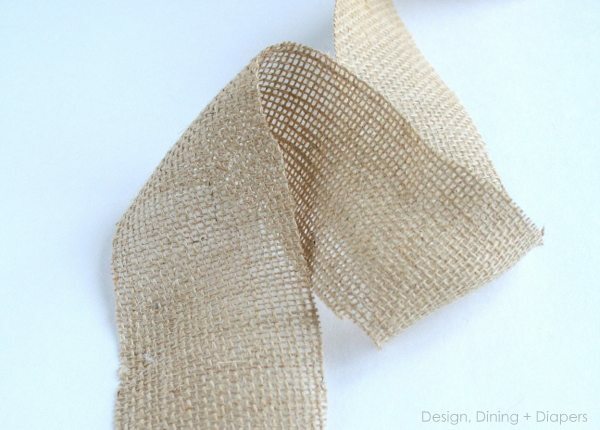 Cut your burlap into 3″ strips. 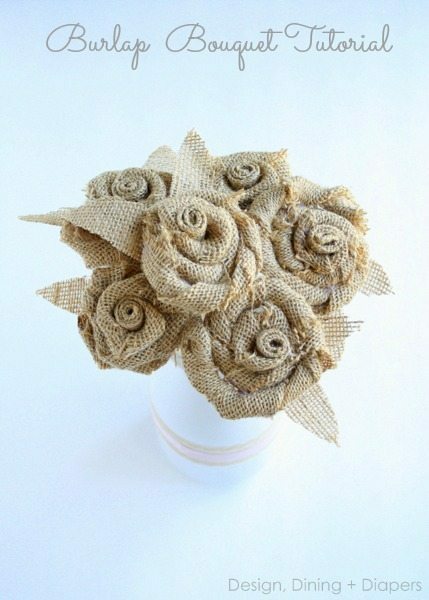 You can make your flowers as large as you would like but each of mine used a piece of burlap that measured around 3″ X 30″. I first tried them using 4-5″ wide pieces but they were too large. 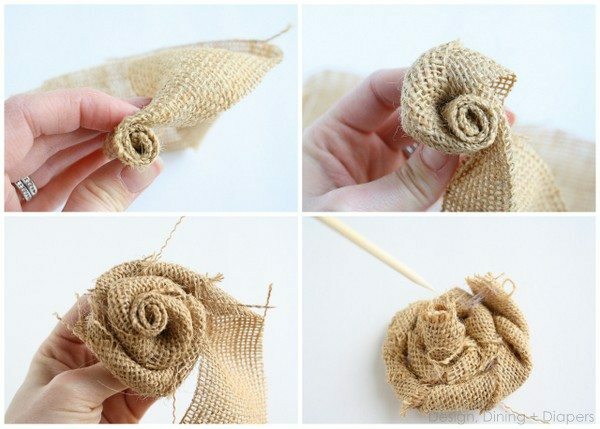 I think somewhere between 2 1/2-3″ is perfect for this type of rosette and with the thickness of the burlap. When making rosettes, I typically start by twisting the center and then continue to twist in a circular motion, but because of the thickness of the burlap it wasn’t working as well for me. What I found was that by rolling the burlap a few times before starting the twisting created a more secure base and the burlap held better. I also placed a few drops of hot glue every few inches to hold the burlap in place. Just be careful about how much glue you use, it can easily show through if you use too much! Once the rosette was the size that I wanted, I finished it off and then flipped it over. I placed a dot of hot glue inside the center and then placed a wooden skewer in the center for a stem. You could also use branches for a more rustic look or pipe cleaners. As I was making my bouquet, I just felt like something was missing. I needed a filler. 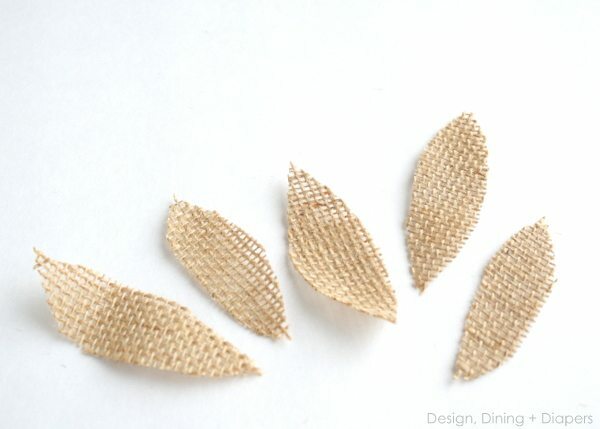 So I created a few simple leaves out of burlap and then attached two to each flower. It added the fullness I was looking for. 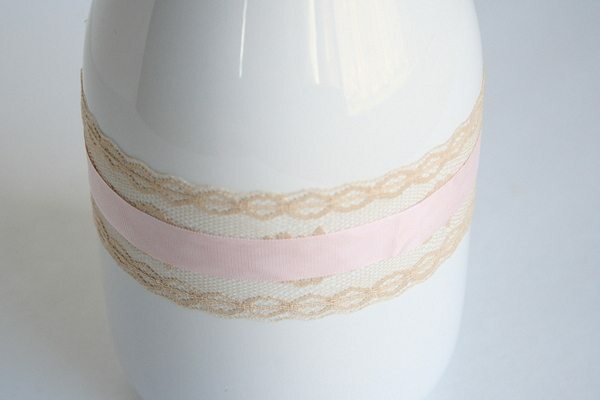 To finish off the look I grabbed a simple white vase and added a few layers of lace and pink ribbon. So fresh and so spring. Okay, I’m mildly obsessed with this! 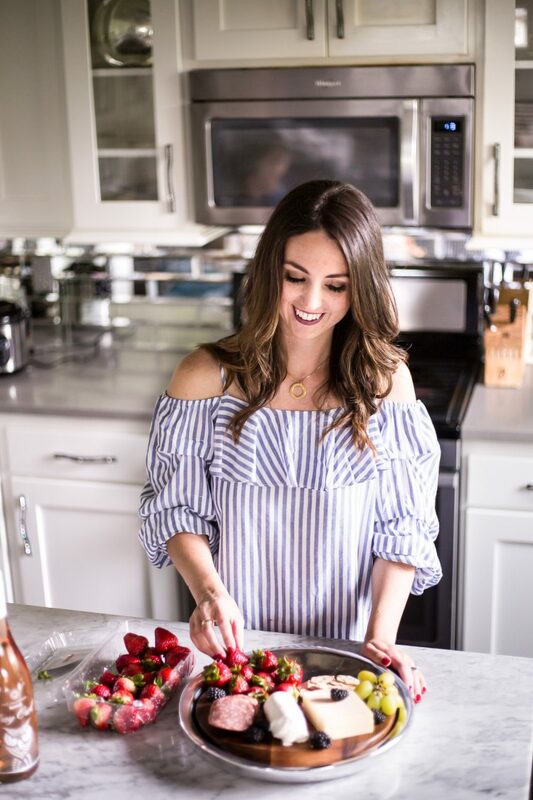 I need to just hire you to make it for me though – SO cute! Love these Taryn! I so need to do this! I’m ready for flowers but nothing has bloomed yet!! So very Sweet and Simple, I LOVE it!! These are so cute! I keep seeing burlap flowers everywhere and have been wanting to try making them! So helpful and they look great! So adorable! Thanks so much for sharing the great tutorial! Would love to have you visit me sometime. What a darling bouquet! These would be so cute for a party decoration, or to use for a rustic wedding. Exelent work, I love roses! That’s just beautiful! I love burlap flowers but I’ve never seen a whole bouquet … love it! Hello! You were the link before me at the COM link party! Just stopping by to say hi! 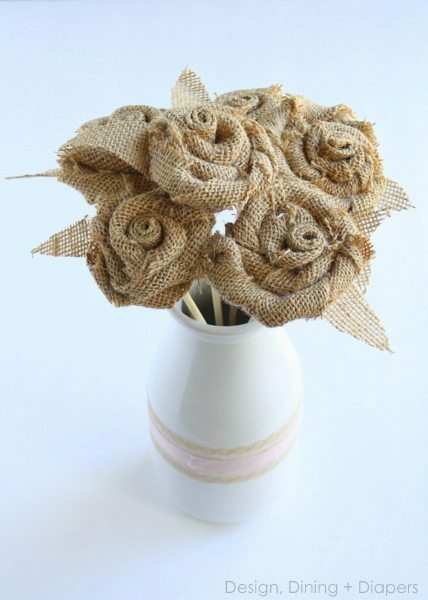 I love these burlap roses, they are super cute and creative! This is beautiful! Love the detailing on the vase. Thanks for the great tutorial! Pinned! I recently bought a bunch of colored burlap for spring but haven’t done anything with them yet. But I know now! Thank you so much for sharing. This is darling and has been pinned!